What Does Acid Feel Like? 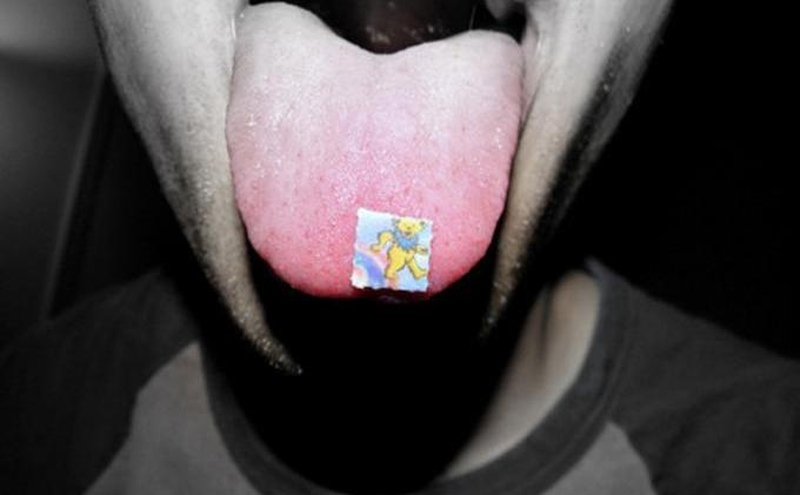 ACID, or simply LSD, is a potent hallucinogenic drug. Getting high on the drug is popularly known as taking an acid trip. The technical term for this is LSD intoxication. A typical acid trip takes anywhere between 8 to 12 hours. The user usually experiences distortions in time perception, making the experience seem much longer. The acid trip can make the universe seem wibbly with intense colors and objects take on new and sometimes bizarre forms. All senses can become distorted and confused with some users becoming paranoid and panicky. Twenty minutes into the acid trip, you will start getting a sense of euphoria and experience a tingling feeling in your body. The effects take anywhere between 30 to 40 minutes to come to a head. You might also experience nausea. Your pupils will dilate and your body will experience increased temperatures. This will be accompanied by an increase in blood pressure and heart rate. You may also start sweating and your mouth will feel dry. Tremors are also part of the acid trip experience. The hallmark of the LSD experience is distortions to the way you see things. These distortions can take a variety of forms. Some people might see an outline or overlay of swirling or geometric patterns while others experience a perceived change in the shape and size of objects. So, what does acid feel like? Some people also get synesthesia which is a mixture of sensory perceptions where stimuli perceived through one sense is perceived through another. Visual hallucinations are by far the most common during an acid trip. Sometimes, LSD users can experience multiple hallucinations at the same time, making it difficult to tell between what is real and what is not. The visual distortions generally get more intense in the first couple of hours of the acid trip. They get less intense in the last six hours. It also changes the way you feel about the world, other people and yourself. This is not necessarily in a positive way–it can also have a negative effect. The effect is not predictable and could swing either way. One way an acid trip can affect your thought process is by breaking down your sense of self or ego. Your belief about yourself and your abilities can change. Some of the positive effects include making you more empathetic and spiritually connected. On the flip side, you might feel that life is meaningless and people are cruel. This can bring about feelings of depression and alienation. These feelings can come with thoughts of suicide and destructive impulses. What does acid feel like? It's common for LSD users to re-live their acid trip experience hours after the effects of the drug have subsided. While these flashbacks are common among regular LSD users, they can also occur in people who have only used the drug occasionally. While the images you see during an acid trip can be pleasant, you can experience a bad trip again even after the initial adventure has finished. Due to the spontaneity of the flashbacks, it is impossible to tell if and when an episode will occur. During a flashback, some people can experience a full-fledged hallucination. Others go through more subtle flashbacks that feature halos or flashes of color that appear whenever they look at a moving object. LSD users are sometimes unable to make sensible judgments during an acid trip. Since their ability to perceive danger is limited, they become susceptible to accidents that can be fatal. The user may also develop long lasting psychosis such as severe depression and schizophrenia. Long term LSD use can produce tolerance. The user is forced to take progressively higher doses to achieve the same state of intoxication. This is very dangerous given the effects of the drug. In extreme cases, the user can experience severe terrifying thoughts and panic, fear of losing control and fear of death and insanity. "My friend brought me some LSD from Europe. The microdots were really small – much like taking an ink pen and putting a dot on paper. I took only 3 and sat on my friend’s couch. What does acid feel like? An hour after I’d taken the LSD, I felt a tingling sensation. It was a lot like ecstasy, but not exactly the same. I started feeling a bit weird and disconnected from the real world. Then the hallucinations begun… It was the worst and most intense hallucination I’ve ever had. My eyes were bulging out and the words on the newspaper begun to float. I started seeing things: texture and patterns on the floors and walls. I couldn’t stare at one spot for too long as it scared me. Everything was swirling and my view started to wave just like when you look to the surface when you’re under water." "Check out the heads of your friends. Do you see the gears turning inside? Do their faces have blue and red neon strips on them? Are their eyes whiter than anything you’ve ever seen? Check out the walls… do they look like an ‘ever evolving fractile’? My heart is beating louder than ever, and it’s getting worse. Outside, everything is all dandy. Color all over... rainbows surround everything and any movement leaves tracers and trails. Every step I take feels like walking 200 feet at a time. The air is heavy and smells like liquid. I can’t stop laughing and the only words that come out of my mouth when I speak are “far out”, “heavy man” or “freaky”. It almost feels like I’m losing my mind." Server responsed at: 04/23/2019 4:46 a.m.